He was born in Vincennes, Indiana, on September 18, 1962 to Robert P. and Dolores M. (Brawdy) Mullins. Joe was truck driver for many years, his career spanning Jasper Engines, Kimball International, and Styline Transportation. 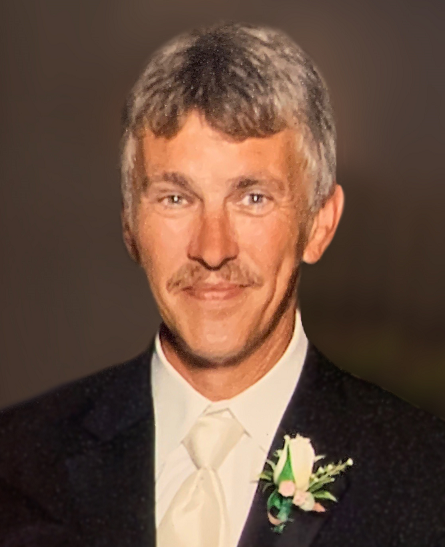 He was a graduate of the Loogootee High School Class of 1981, served in the Indiana Army National Guard, and was a member of the Fraternal Order of Eagles in Huntingburg. He enjoyed camping with friends, hunting, fishing, 4-wheeling, kayaking, and working around the house. Surviving are his fiancé , Kelly Kluesner of Lake Helmerich Village, two sons, Chris Mullins (Kesha), and Kyle Mullins (Emily) both of Jasper, one step son, Jesse Kluesner, Jasper, five grandchildren, Laine, Nolan, Hayden, Rylan and Peyton Mullins, two brothers, Robert W. Mullins (Phyllis), Loogootee, and Donald Mullins (Cindy), Shoals, IN. Funeral services for Joe Mullins will be held at 6:00 p.m. on Friday February 1, 2019 at the Becher-Kluesner North Chapel in Jasper, with burial to follow at a later date. Pastor Ryan Stiles will officiate. A visitation will be held from 1:00 p.m. until the 6 p.m. service time on Friday, February 1, 2019 at the Becher-Kluesner North Chapel in Jasper. In lieu of flowers, memorial contributions may be made to the wishes of the family.